As a constantly-evolving artist with creative inertia to boot, multi-faceted songwriter Grayson Capps has been around the block enough times to know a thing or two about a career as a songwriter, both here in New Orleans (where he attended undergrad and began his professional music career) and around the country. His latest record, Lost Cause Minstrels, is a refreshing country-laced effort channeling the sounds of the backwoods and heavily infused with a stylistic tour of the South. The new record intricately weaves high lonesome bluegrass harmonies, gospel, blues and NOLA brass beneath Capps’ raspy vocals, and the singer delivers a philosophically-laced Southern gothic gospel you won’t find elsewhere these days. Capps’ latest project, The Lost Cause Minstrels, returns to the Crescent City on Friday night for a show at Chickie Wah Wah after the Friday night parades. 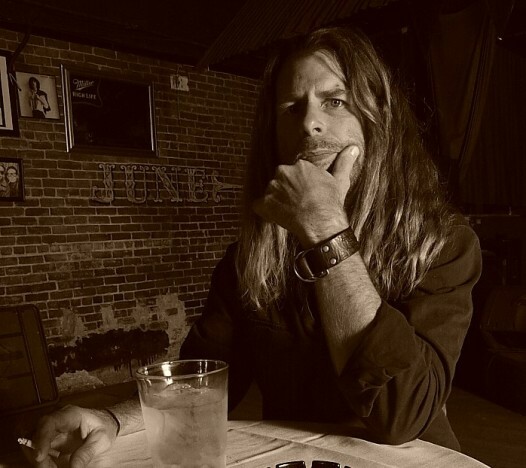 Continue on below for a chat about Mardi Gras in the Mobile area, Capps’ connections to the Big Easy, his latest album and band, Joe Cain Day and his knack for philosophy. Q. You haven’t lived here permanently in several years, but being just down the Gulf Coast in Fairhope, you still manage to make it back here to the place where you spent so much of your music career. How essential is it for you to frequent New Orleans and what are some of the places you absolutely must visit, play and dine when you are back in town? A. New Orleans for me is where I woke up as a musician, and like a first love, the city continues to be an inspiration to me. I frequent New Orleans enough to keep the sweet olive blossoms in my lungs and the Mississippi River in my veins, but most of the bars and restaurants that meant so much to me when I lived there are gone — like Henry’s Soul Food and Pie Shop, the Rock Bottom Lounge, and Bennie’s, to mention a few. Others have gotten so popular that they’ve lost their mystique to me. I guess the essential visits for me would be the good old Tree of Life near the Butterfly and springtime walks at Jean Lafitte over on the West Bank, and those few solitary stretches on the river where the river glass speaks with each wave that rolls in. New Orleans and I have a love affair till this day, but it’s very personal and goes way beyond the red beans and rice and other trite associations most people have with the city. In the spirit of the season, tell me about the origins of your song “Ol’ Slac,” and how it has been received in the Mobile area? I think folks are proud around the Port City to have a song about the local legend Joe Cain. As a kid, I remember Joe Cain Day in Mobile as the most debaucherous, crazy, fun day of the season and I wanted to write a little song to remind people of some of the history of that colorful ole’ Cheif Slacabamamarinico. A lot of the parades blast that song as they roll downtown now, and it thrills me to be able to accentuate some of Mobile’s charming culture. Your band name and most recent album, Lost Cause Minstrels, seem to be highly descriptive. Tell me about the origins and make-up of your band and how that album was recorded? Joe Cain’s miscreant friends were a group of musicians called the Lost Cause Minstrels. They stole a coal wagon and an old gray mule and paraded through downtown Mobile in 1866, resurrecting the Mardi Gras after the Civil War. I, of course, stole the name, because it somehow seemed appropriate considering that most of my band is from around the Mobile area. We recorded the record at my barn in Franklin, Tn., just before we sold it, knowing that I was moving back down South. My partner Trina Shoemaker recorded and mixed the album. You can thank her for making it sound so good. How is Mobile carnival different from New Orleans’ parade season? Mobile is Baptist, New Orleans is Catholic; there is a big difference! Your career and songwriting/musical output has run an impressive gamut, so what’s next for you? Next for me, I can’t say, it just has to happen. I could say all kinds of things about the future, but that would mean nothing. We’ll have to wait and see what unfolds. Anything special/Carnival-related in store for your New Orleans show? We’re playing Chickie Wah Wah’s Friday the 17th and Le Bon Temps on Lundi Gras and our keyboard player’s son, Christopher Spies, will be playing sax with us. We’re ready to rock ‘n roll and ride the wave of the Carnival season and take our audience with us. Your lyrics reflect a learned philosophy background. Have you read or studied philosophy? If so, tell me a little a bit about what you’ve read and how it informs your songwriting. I’ve read a lot over the years, and I’ve studied philosophy in school and out of school. I studied theater primarily and am greatly influenced by the likes of Eugene O’Neil, Tennessee Williams, and Sam Shepherd. And Shakespeare, of course. I’ve delved deeply into most of the major religions with a prod from my father and Joseph Campbell. The Dhammapada and the Tao Te Ching are the most profound works that I know of, and I am a great fan of Tolstoy and Dostoevsky, crossed with some Bukowski and Steinbeck and Flannery O’Conner. William Price Fox and Joel Chandler Harris were childhood staples. I love metaphor, local color, and vivid images. That’s why New Orleans has been so dear to me. It’s so full of intense images that provoke change and open-mindedness and lust and discovery and hope. Whether or not any of this comes through in my writing, I do not know. That depends on the listener, I suppose. All I can do is tell the truth, my truth, and if I tell my truth, the listener might not get my truth, but they will get a truth, and that is where the good stuff resides. Wesley Hodges writes about music for Live Music Blog; NOLA and for NolaVie.